The Periodic TV Aerials are wideband aerials marked (W) below have no 4G immunity. Aerials marked (4G) have some 4G and TETRA immunity but may still require a filter if interference from these sources is still a problem. 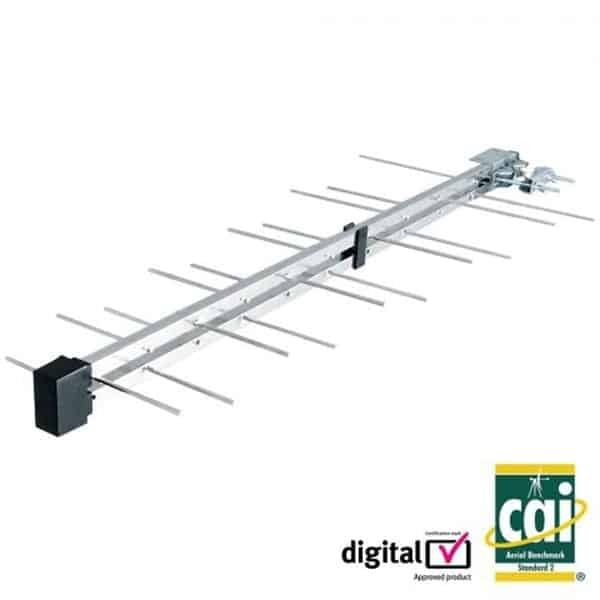 * The LP20FHV at just 440mm long is an ideal aerial for indoors where the signal is strong enough.